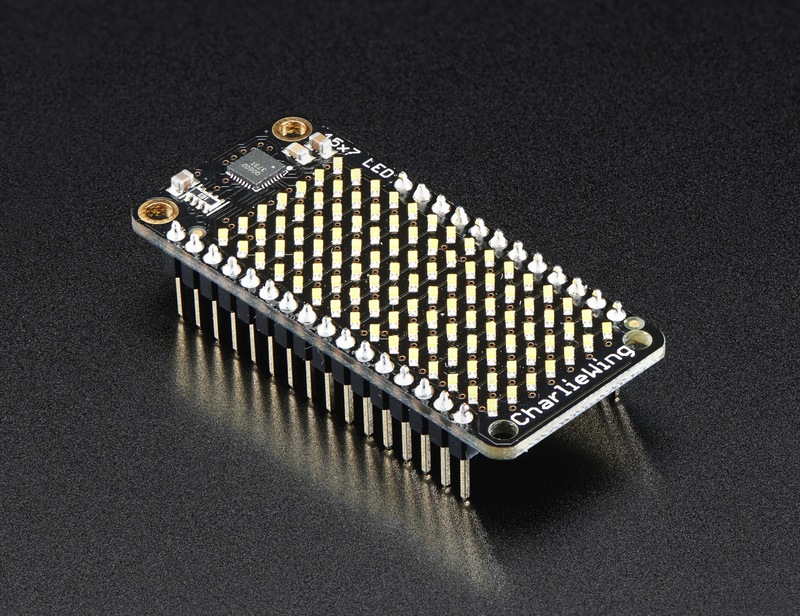 NEW PRODUCTS – Warm White Charlieplexed LED Matrices « Adafruit Industries – Makers, hackers, artists, designers and engineers! You wont be able to look away from the mesmerizing patterns created by this Adafruit 15×7 CharliePlex LED Matrix Display FeatherWing. This 15×7 LED display can be paired with any of our Feather boards for a beautiful, bright grid of 105 charlieplexed LEDs. It even comes with a built-in charlieplex driver that is run over I2C. We carry these FeatherWings in many vivid colors – this is the Warm White matrix. What is particularly nice about this Wing is the I2C LED driver chip has the ability to PWM each individual LED in a 15×7 grid so you can have beautiful LED lighting effects, without a lot of pin twiddling. Simply tell the chip which LED on the grid you want lit, and what brightness and it’s all taken care of for you. You get 8-bit (256 level) dimming for each individual LED. 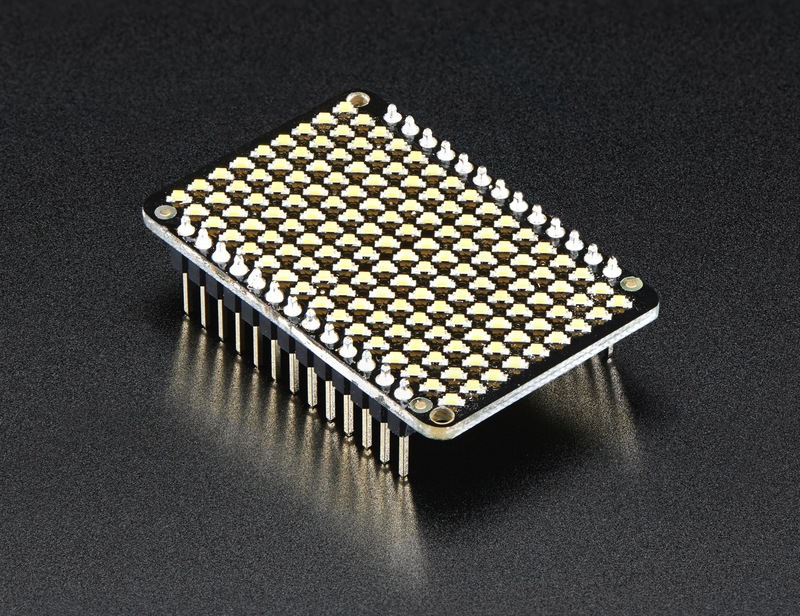 The IS31FL3731 is a nice little chip – and it runs happily over 3.3V power. Inside is enough RAM for 8 separate frames of display memory so you can set up multiple frames of an animation and flip them to be displayed with a single command. Since it uses I2C, it takes up only the SDA/SCL pins on your Feather and can share those pins with other I2C devices and sensors.